We all have multiple identities, relating to our ethnicity, our gender, our work groups, or the social groups we belong to. However, as researchers belonging to LSBU’s Addictive and Health Behaviours are showing, our identities around being an addict, or a recovering addict, are particularly strong. In the last few years the group’s work (assisted by a number of PhD, MSc and undergraduates) has shown consistently that these identities can predict an enormous amount of variance in a client’s treatment success. 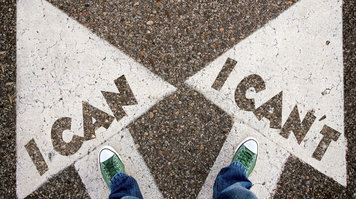 Identity seems to be particularly important when predicting how well a person does in treatment, how long they go without relapsing, or the longevity of their relapse. Which is exactly what they have done. 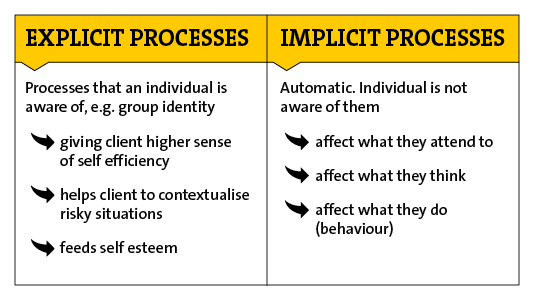 Their Social Identity Model of Cessation Maintenance (SIMCM) proposes that when people are experiencing the world from the perspective of a group membership they are affected by that group membership in two distinct ways: via one set of processes that a person is aware of (explicit processes) and via another set of processes which operate underneath the radar (implicit processes). These implicit processes predict actual behaviour. They don’t just to predict how people say they’re going to behave - they actually predict what they do in the moment, as they experience a sort of ‘identity activation’. The researchers argue that both sets of processes need to be taken into account when treating addiction, the more you can get an individual to come out of their automatic mode of thinking and into a more conscious reflective state, the better they should do. It’s not like you can use identity and just say, “We’ll get an identity and we’ll fix people and it will all be good,” but our findings consistently show that identity is linked to relapse … it’s important that we understand how people conceive themselves and how they should be conceiving themselves as part of the treatment process. The group continue to explore and develop the model in applied setting with partners like Turning Point and Adfam. They also plan to undertake further research looking at how people become smokers, drinkers or e-cigarette users and how those identities are established. If you are working in the sector and would like to help or become involved with the group, get in touch.